Fantastic price in beautiful Piper Glen-area Rosecliff, plus Seller is offering $2500 towards closing costs with acceptable offer. 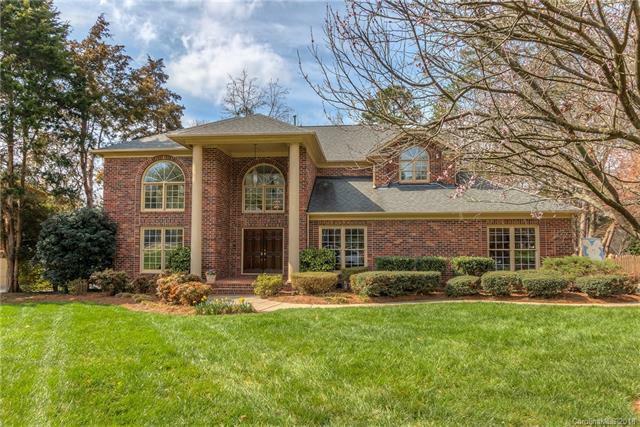 Full brick custom architect-designed home built by Arthur Rutenburg. Updated kitchen appliances & backsplash, main level guest bed room/full bath, light-filled. Open floorplan kitchen-breakfast-family room. Soaring foyer & living room, dramatic double staircase. Great curb appeal, wonderful lot, lush landscaping, large rear deck, paver walkway, 2 small ponds & waterfalls, fenced yard. Low HOA $125/year, self-managed, swim / tennis available next door in adjoining Carrington neighborhood or Raintree. Walk to Trader Joes, Starbucks and 4 Mile Creek Greenway! Near the Arboretum, Stonecrest and Ballantyne shopping centers with close proximity to highly-ranked private and public schools. South Park Mall is just minutes away with an easy commute to Uptown and all things Charlotte. Great value for the location. Home Warranty included.